Susana Morley MA BM BCh FRCOphth MD is an experienced London-based consultant oculoplastic and reconstructive surgeon, with specialist expertise in aesthetic eyelid surgery including blepharoplasty. Susana Morley sees private patients in London. 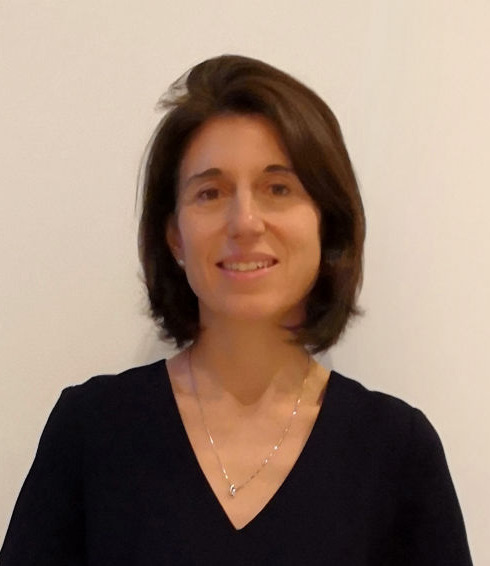 Susana Morley is a fully accredited NHS Consultant Ophthalmologist, Fellow of the Royal College of Ophthalmologists and is on the General Medical Council specialist register (4333148). She is a member of The British Oculoplastic Surgery Society (BOPSS) and The American Academy of Ophthalmology. Susana is the lead oculolpastic surgeon at Guy's and St Thomas' Hospital NHS Trust where she has been a consultant for 11 years. Susana has extensive experience of specialist oculoplastic surgery. Having obtained a triple first from University of Cambridge in preclinical studies she completed her clinical medical school training at the University of Oxford. Her training in Ophthalmology was in London, based at Moorfield’s Eye Hospital. Susana Morley has extensive training in eyelid, lacrimal and orbital surgery from several of the UK’s best oculoplastic centers including Moorfield’s Eye Hospital with Mr. Richard Collin and the specialist oculoplastic unit at Queen Victoria Hospital, East Grinstead. Looking for the best eyelid surgeon for you? Cosmetic (aesthetic) eyelid surgery including blepharoplasty (eye/eyelid lift) to both the upper and lower eyelids, as well as eyebrow lifts. Redo / revision cosmetic eyelid surgery (redo / revision blepharoplasty). Restorative eyelid surgery including for ptosis (droopy eyelids), for entropion/ectopion (eyelid malposition), for facial palsy or following trauma. Management of eyelid lumps including tumours and skin cancers, with reconstructive surgery where necessary. Management of orbital pathology including thyroid eye disease and orbital masses, with biopsy and restorative surgery where necessary. Surgery for artificial eyes including removal of painful, blind eyes and reconstruction of eye sockets. Management of eyelid twitching (blepharospasm). Why choose Susana Morley to be your surgeon? Medicine has become increasingly sophisticated and specialised over the last 10 years. If you walk into any NHS hospital you will find medical care being delivered by sub-specialist teams: for example, in a typical orthopaedic department (dealing with bone and muscle problems) you will find one or two surgeons specialising in hip surgery , some in knee surgery, and others specialising in spine, shoulder or hand surgery respectively. Why has this happened? Simply because specialists get better surgical results with fewer complications. 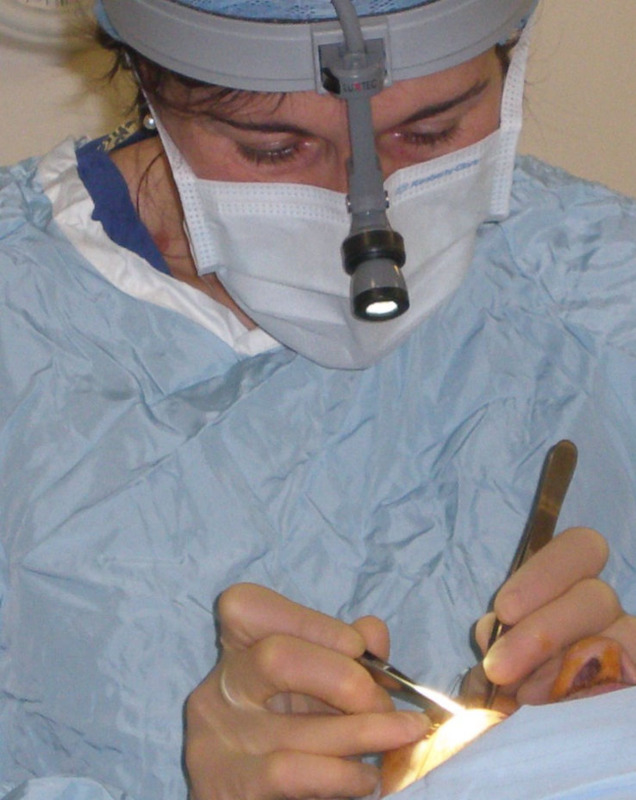 Within Susana Morley’s specialty – ophthalmology (dealing with the eyes)- there are some surgeons specialising in the front of the eye (the cornea), some in the back of the eye (the retina) and some specialising in the tissues around the eye like the eyelids, orbit and tear drainage system. The latter is Susana’s subspecialty – oculoplastic surgery- also known as ophthalmic plastic and reconstructive surgery. An oculoplastic surgeon is a specialist eyelid plastic surgeon surgeon who has undergone full training in dealing with diseases of the eye (an ophthalmologist) and has specialised in the surgery of the eyelids, eyebrows and other structures around the eyes, such as the tear duct and eye socket. They do not perform other general plastic surgery procedures such as tummy tucks, face lifts, breast enhancement etc. but have tremendous expertise in dealing with the area around the eye. They are the only surgeons who operate in this area who have a full understanding of how the eye structures, such as the eyelids, work and who are fully trained in the assessment and management of all eye problems. They are therefore able to take specific steps in each case to ensure that complications are minimised, and any difficulties encountered are appropriately managed. They are also the only surgeons who operate around the eye every time they are in theatre, both within their NHS practice and privately. In the case of blepharoplasty surgery, for example, specialist oculoplastic surgeons such as Susana Morley not only have all the necessary skills and training to perform the correct surgery but can also fully assess the surface health of the eyes and the function of the eyelids before any procedure. In some patients, the risk to the overall health of the eye from eyelid surgery may outweigh the benefits and surgery will not be advised or will require specific peri-operative management. As an ophthalmologist and oculoplastic surgeon, Susana Morley regularly sees patients who have had eyelid surgery performed elsewhere, and who are now seeking management of surgical complications. What is your NHS job? I have been a consultant ophthalmologist for 11 years. I am the lead oculoplastic surgeon at one of the largest NHS teaching hospitals in the UK (Guys and St Thomas' NHS Trust). My NHS work involves helping patients with problems related to their eyelids and associated structures. I have two specialist oculoplastic surgical operating lists a week. I work closely with the dermatology team. I perform complex eyelid reconstructive surgery on patients who have had to have part of their eyelid removed due to skin tumours. What is the ethos of eyelid clinic? My aim in running the eyelid clinic is to provide patients an alternative to the standard non-specialist "cosmetic" clinics which are available. I don't think is realistic for one surgeon to be an expert in multiple surgical sites. I never "advise" or "recommend" aesthetic surgery - after all it is not medically necessary. What I do offer patients is an expert, professional opinion on the risks and benefits of surgery so that patients can make their own decision regarding their treatment. Following all consultations, the patient will receive a full letter in the post outlining the consultation, my findings and my professional opinion. The patient can then take time to consider their options. Why do you operate at an NHS hospital? I am proud to work at St Thomas' Hospital and use my skills to help NHS patients. I operate twice a week on NHS patients in the eye operating theatres and have a very good working relationship with the theatre staff. They know how I work and what equipment I need for surgery without any need for me to ask. As a surgeon having complete trust in the operating theatre team is crucial. Additionally, the fees paid by private patients undergoing surgery at St Thomas help to cover the costs of running the NHS services. This is good for the NHS and as a patient you can feel comfortable that your fees are helping support the NHS rather than contibuting to the bottom line of a private company. An inital consultation lasts 45 minutes. During this time you will have the opportunity to ask questions and I will listen to your concerns and examine your eyes carefully. This includes looking at the back of your eyes (the retina) and checking the general health of the eyes (including looking for dry eye which may be exacerbated by surgery). I will address your specifc area of concern and document my clinical findings. I will give you an honest and objective appraisal as to whether your problem can be dealt with surgically and will outline the risks and potential benefits of surgery. Please be aware that my professional opinion may be that your condition is not suited to surgical treatment. How many operations have you performed on eyelids? I perform two oculoplastic surgery operating lists a week where I operate on 3-6 patients per list. In addition, I perform eyelid reconstruction (where the eyelid has been removed following resecton of a tumour) on up to three patients per week. I have performed hundreds if not thousands of operations on patients' eyelids.